NJW Construction > news > Tired of Constantly Cleaning Your Home? Here are Some Remodeling Materials and Design Ideas That Make Cleaning a Little Easier! Tired of Constantly Cleaning Your Home? Here are Some Remodeling Materials and Design Ideas That Make Cleaning a Little Easier! As your Columbus Ohio contractors, NJW knows that the answer to that question is YES…who isn’t tired of cleaning their home? While we cannot promise you products that will allow you to never cleaning your home, we can help you find products that will cut your cleaning time down and make it a little easier! We know that when we do a room addition, or kitchen remodel, or any residential renovation we always recommend a high efficiency air filter. While we do our best to clean up any residue on the job site, there are still particles that escape into the air. If you want your home to have clean air, and reduce the particulates within the air of your home, something as minor as an air filter can really help keep your air clean throughout your whole house. We like the Sears, Honeywell filter you can find here. NJW, your preferred home improvement company, also knows how difficult bathroom cleaning can be. Occasionally, you have to try to fend off mold, or other unwanted dirt and debris that accompany rooms with high moisture. We can help you find the best products available to include into your bathroom remodel, to help alleviate the time spent cleaning! We know people lead very busy lives, and when they are home they don’t want to be on hands and knees scrubbing floors. The products we choose are made with all of these things in mind. Because we are professionals with years of experience in the remodeling industry, we also know how important flowing floors can be. The fewer seams and gaps in your floor, the fewer places dirt collects. Ceramic tile flooring is beautiful but needs a little more attention. To make tile look cleaner, use large squares with narrow grout lines. NJW also feels that a good design can help you cut down on mess. 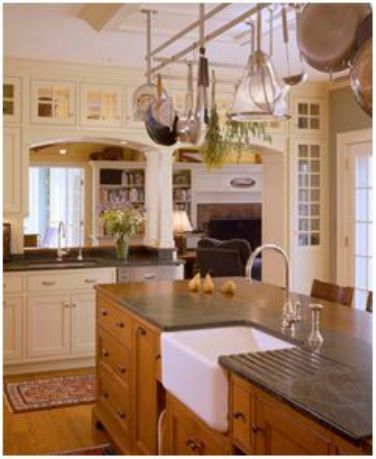 When we plan a kitchen remodel we take into account the flow and try to get a good work triangle going. The triangle refers to the arrangement of the cooktop, sink and refrigerator- by minimizing this distance between these items you cut down on how far you have to carry things. It’s the carrying that leads to spills, which ultimately leads to messes in your kitchen. Sometimes a great island can compensate for the lack of a good work triangle. Whether you choose a good design that will help eliminate messes, or some amazing products out there that help ease the pain of cleaning, NJW would love to be able to assist you in the decision making process. With our experience in home remodeling, and overall design we can help guide with all of these decision. We currently build in Westerville,Worthington,Whitehall,Upper Arlington, Powell, Pickerington,New Albany,Lancaster, Hilliard,Gahanna,Dublin, Bexley, Columbus and all of Central Ohio. Contact us today!